When the streamliner craze hit the country in the mid-1930s it took the Pacific Northwest railroads some time to adopt the new service to their fleets, partly the result of World War II. 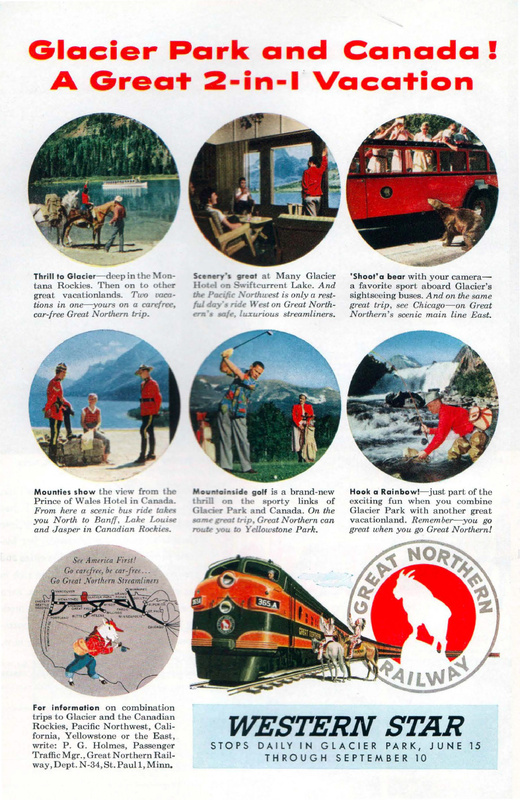 The first to do so was the Great Northern which updated its venerable Empire Builder in the late 1940s. The railroad again purchased new equipment for the train in the early 1950s which allowed it to unveil a brand new consist at that time, the secondary Western Star. This train would compete loosely with the Northern Pacific's Mainstreeter and provided intermediate services that its flagship did not. The train proved to be a quite successful train for GN part of which was thanks to its association with the Builder as well as the lavish amount of advertising the company spent to promote all of its transcontinental runs. 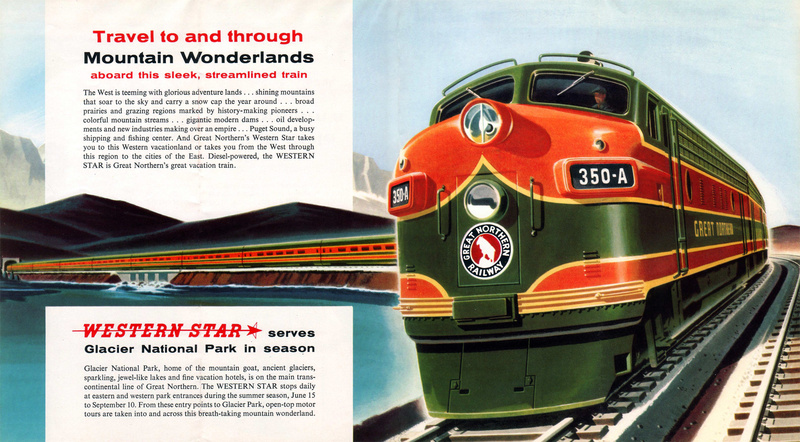 The Star remained on the timetable through the end and was not discontinued until the startup of Amtrak in 1971. Of the three transcontinental railroads serving Seattle and the Puget Sound (the others being the Milwaukee Road and Northern Pacific), the Great Northern offered the most prolific passenger services to and from the region. 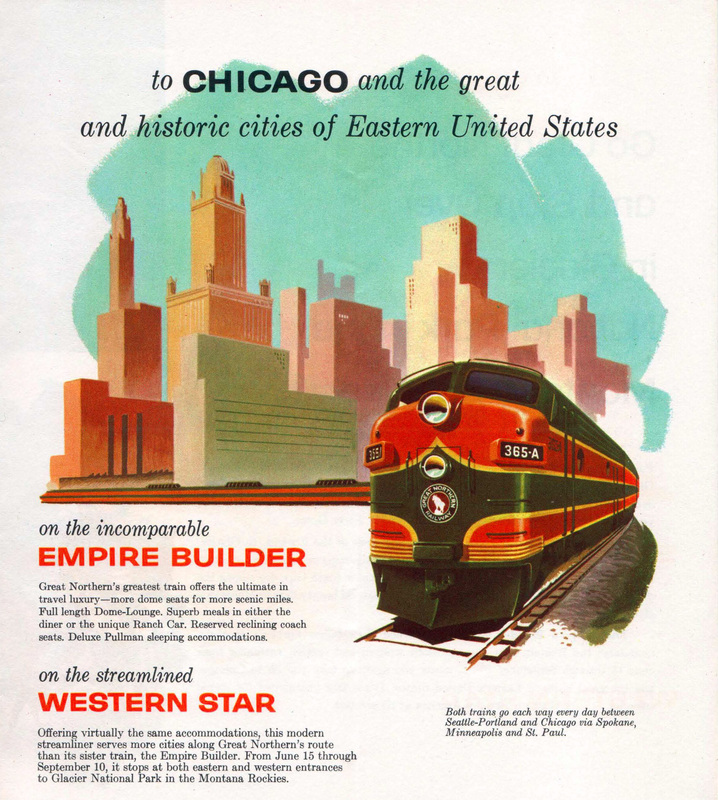 Along with the Empire Builder there was the Oriental Limited (until 1951) and the Star. 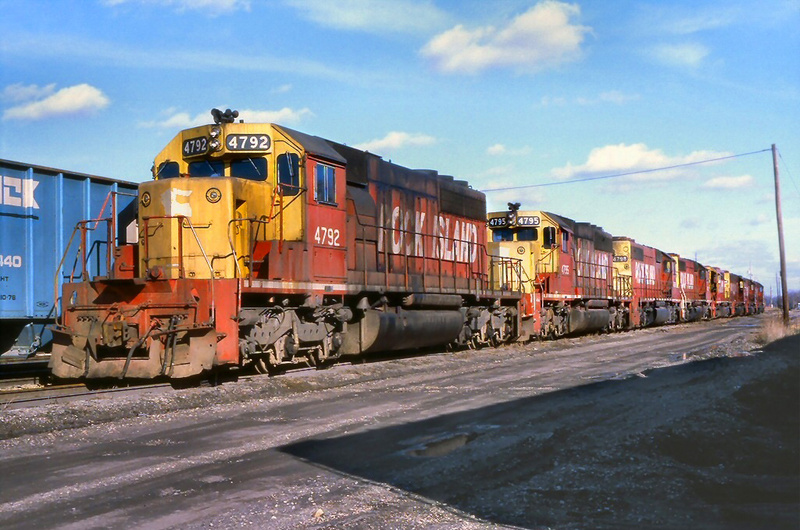 Additionally, the GN's Dakotan connected the Twin Cities to North Dakota and the railroad had numerous services into Canada particularly on the west coast. Since 1900 the Builder was the GN's crack train between Seattle and Chicago although to reach the two cities required the help of ally road Chicago, Burlington & Quincy between the Twin Cities and Chicago. 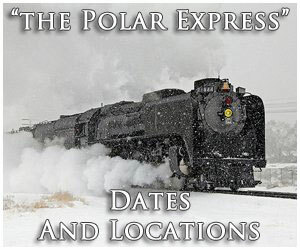 The train was initially streamlined in February, 1947 with new equipment from Pullman-Standard, and then again updated in the late spring of 1951. 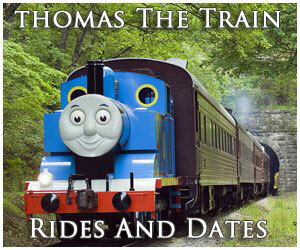 For a collection of advertising pieces, timetables, brochures featuring the Star please click here. Great Northern, "Go Great - Go Great Northern"
After this latest round of equipment upgrades the Great Northern decided to inaugurate a secondary run between Seattle and Chicago, known as the Western Star, which debuted on June 3 of that year (the same date as the new Builder's inauguration). The train's consist included a single coach, Day-Nite coaches, a lounge-coffee shop, diner, two sleepers, and a buffet-lounge-observation. Just like the Builder the train was clad in GN's beautiful passenger livery of orange and green. The Star beat the Northern Pacific's Mainstreeter by a year although both trains served a very similar function; "mop up" duty carrying anything needed or required such as intermediate stops. 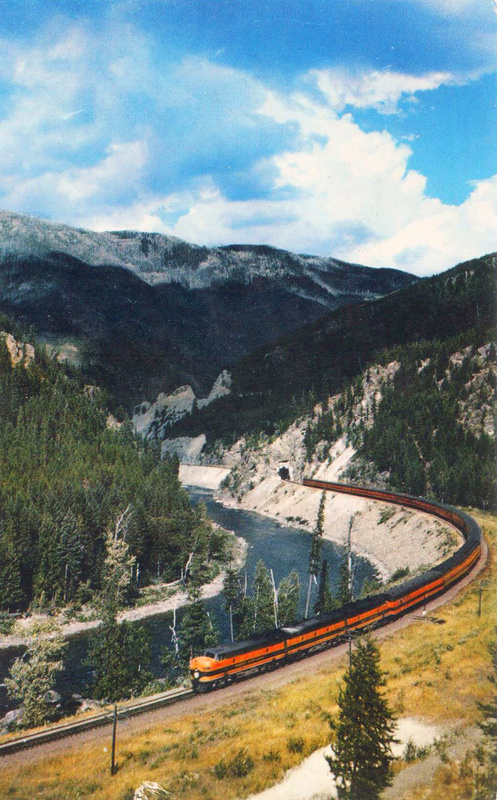 The Star also gained the status as the primary train providing passengers access to the Glacier National Park, a task it continued to carry nearly through the end of its days. As to be expected the Star's schedule was somewhat slower than its more prominent counterpart although not nearly as one might think. The train could make the run between Seattle and Chicago between 39 and 40 hours, only two hours slower than the Builder, and carried an average train speed of nearly 45 mph. This schedule was more than seven hours faster than the NP's Mainstreeter. 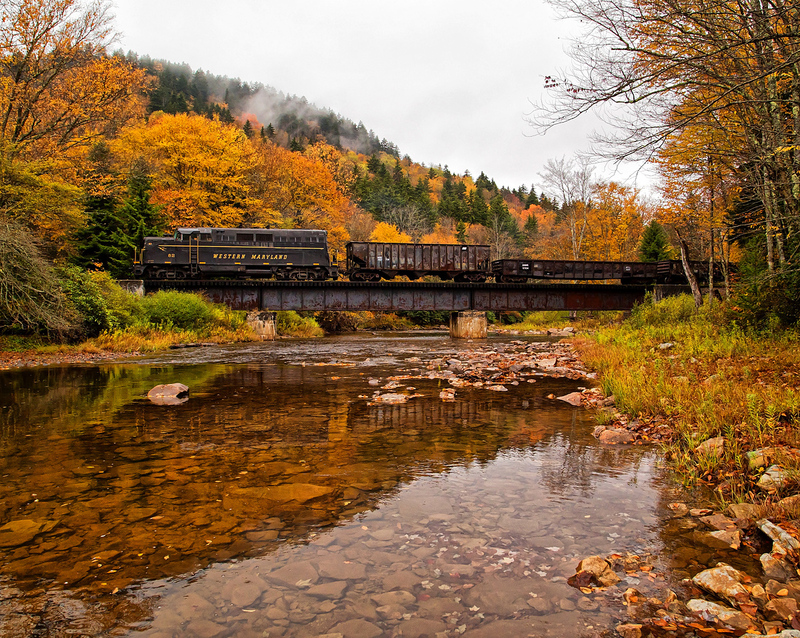 Given that the train was the GN's primary tourist service in the Northwest its busiest time of year was usually the summer months when the peak travel period between June and August saw the Star sometimes grow to five or more additional cars. 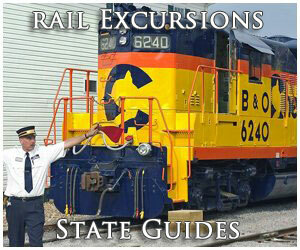 Throughout most of its service the Star was listed on GN's timetable as train's #3 (westbound) and #4 (eastbound). During the early 1960s a shuffling in passenger operations saw the train renumbered as #27 (westbound) and #28 (eastbound) as noted in the timetable featured above. 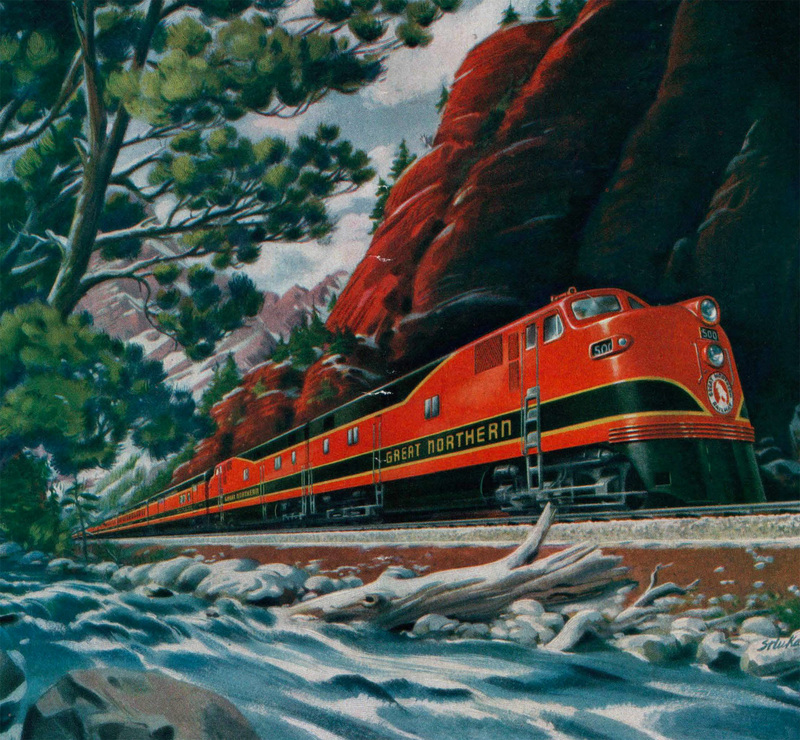 One interesting note about the consist mentioned by Mike Schafer and Joe Welsh in their book, Streamliners: History of a Railroad Icon, is that it offered arguably more scenic views of the Rocky Mountains during its daytime run through the territory than the Builder despite the fact that the latter was the only domed transcontinental train offered by the Great Northern. 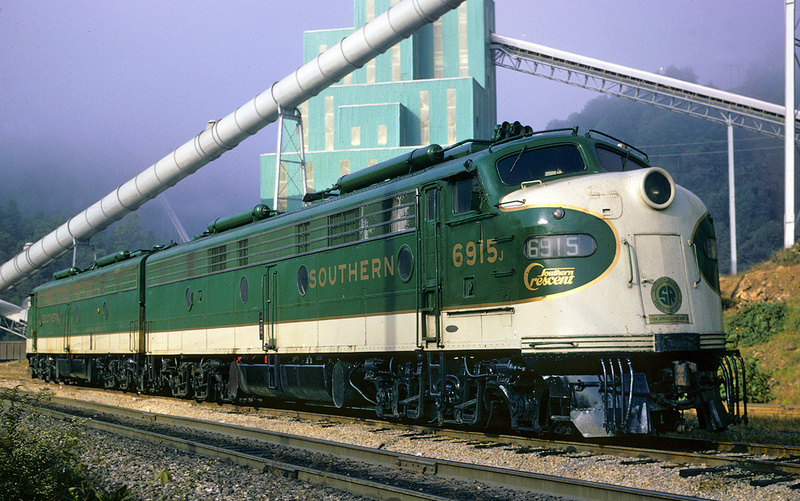 For power the Star utilized a wide range of power from Electro-Motive Division's FTs, F3s, F7s, and F9s to SDP40s, F45s, and SDP45s during the GN's final years of independent operation. 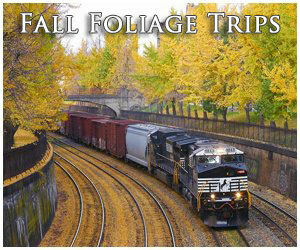 As rail patronage declined across the country through the 1950s and into the 1960s the Western Star saw its service cut back and as early as 1954 GN combined it with the Fast Mail between Spokane and Seattle. Just prior to the Burlington Northern merger the train's typical consist included a few sleepers, a diner providing "budget meals and beverage service" (according to the timetable), and Day-Nite coaches. Its schedule had also slipped nearly 10 hours, completing a Chicago-Seattle run in just over 48 hours. Through the end, however, the Star remained part of the Burlington Northern's very brief passenger services with its final run coming on April 30, 1971, as the next day Amtrak took over intercity passenger rail operations.